A winter morning at our Westminster Colorado location. The history of the Amish Furniture Gallery began in 1987 in downtown Crystal Lake, Illinois where a bookstore owner with a small inventory and a large location found she was paying for too much showroom space. Up the block and across the street the owner of a children’s clothing shop happened to be in the process of trying to furnish his family's home. He was frustrated by the lack of quality hardwood furniture available at prices a normal, middle class family could afford. Having grown up in rural Illinois he was familiar with Amish communities and the excellent furniture they produced so he headed down state and started meeting builders through word of mouth. Before long he found what he was looking for and bought an oak table and chair set. Instead of delivering it to his home however, he set it up in a corner rented from the bookstore and began taking orders. That set quickly multiplied, our staff started to grow, and before long we were in a building all of our own. We gain some style and grow! When we began, Amish furniture was country in style and golden oak in color. That look only goes so far even in the Midwest of the late 80s, something had to change. So we put pen to paper, became designers and introduced some Amish builders to "Mission Style", it blew their minds! We were the first Amish Furniture store to offer quartersawn white oak because we went directly to the mill, explained what it was, why it was important, and worked out a deal supplying our builders. We built our own finishing shop as we were unhappy with the finish quality and consistency Amish builders (doing their best without electricity) were providing. From that point we have constantly refined, improved, and expanded, leading to where we are today. We think America is the best place to build furniture for Americans! Staying local allows us to invest our energy and resources in quality not quantity. Permanence not disposability. Beauty, uniqueness, & flexibility, not ubiquity & conformity. Importing products tens of thousands of miles is inefficient, unproductive and wasteful. Each dollar spent on importing costs is a dollar invested in foreign economies and environmental degradation. Nearly 100% of the money spent on Unplugged Furniture is reinvested back in the U.S.
Foreign made furniture must be built and shipped in massive quantities as quickly and cheaply as possible to overcome the huge inefficiencies created by shipping furniture tens of thousand of miles to the U.S. This leads to products of dubious quality not specifically tailored to your needs. The materials used in our products are safe, sustainable, and locally sourced. We’ve never had to jump on the green train, because we’ve always been on it. 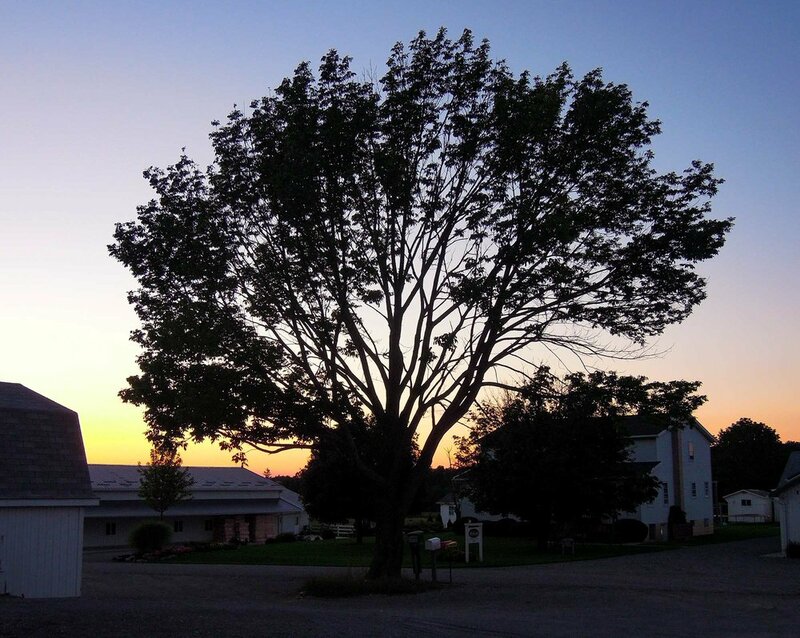 The wood we use is renewably harvested from Amish pasture & hunting land. We produce close to zero packaging waste because all of our furniture is shipped blanket wrapped rather than using cardboard cartons. Even the sawdust created during the building process is used for livestock bedding. The fact that all our custom made furniture is built right here, in the US, means that we are saving a lot of oil and gas that would otherwise have been used in shipping products overseas.